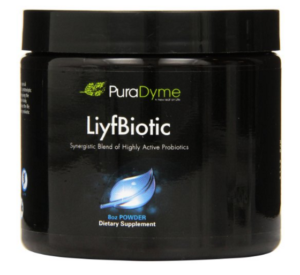 LiyfBiotic is a powerful multi-strain probiotic that contributes to a natural, healthy intestinal tract using five synergetic strains of friendly bacteria! Perfect to take daily to help improve digestion and restore healthy flora. It can also be used after flossing and teeth cleaning, to assist the body in the regeneration of the cells in the mouth, (particularly for gum disease) bad breath and loose teeth. 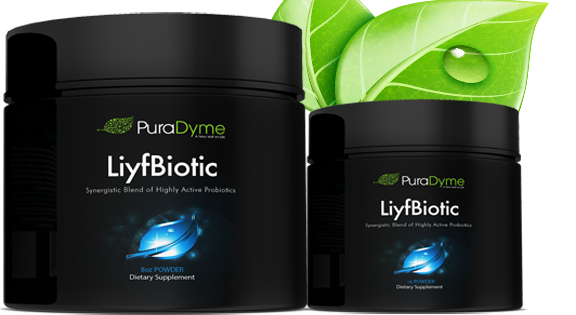 Probiotics are key elements to our overall health and wellbeing! These living bacteria work as balancing agents for non-friendly, pathogenic bacteria that often live in the digestive tract and are the root cause of many of the chronic ailments we suffer from today. Probiotics such as L. Acidophilus actually work to create a natural form of antibiotics in the body, helping increase our ability to produce anti-microbial action against the pathogens found in the FOODS WE EAT, AIR WE BREATHE, & the things we TOUCH. 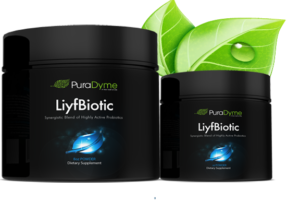 Liyfbiotic is a gentle yet powerful probiotic that can heal the body while simultaneously culturing the foods we eat and bringing those foods back to life! This top of the line product combines L. Acidophilus DDS-1, L Plantarum, B Bifidum, B Longum, & Bacillus Coagulum; and is the perfect supplement to replenish our supply of natural friendly flora that has been destroyed by everyday stresses, unhealthy lifestyles, or acidic diets. Not only is our product working to populate the intestinal tract with beneficial bacteria, but it is also helping improve the survival, implantation, and growth of newly added microflora strains!